Grateful Dead covers are always fun — remember the 1991 tribute album, “Deadicated”? And “Tennessee Jed” is a great song no matter how you slice it. So when Helm begins the followup to his comeback disc, “Dirt Farmer,” by singing “Cold iron shackles and a ball and chain” against a wall of sound made up of resonator guitar, piano, organ and horns (including the ubiquitous Howard Johnson on tuba), one can’t help but grin from ear to ear. Then again, Helm’s voice in itself elicits a Cheshire Cat smile, especially in light of the throat cancer that nearly silenced his golden Arkansas twang forever. 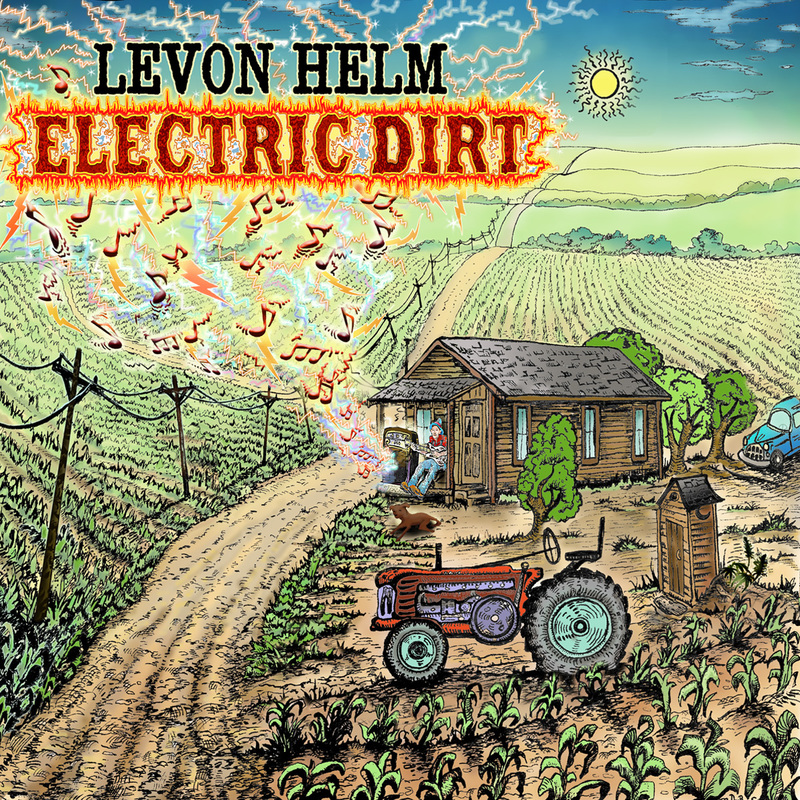 “Electric Dirt” expands on the Grammy-winning acoustic folk of 2007’s “Dirt Farmer,” with electrified blues and gospel numbers by Muddy Waters, the Staple Singers and Nina Simone, alongside rustic material such as Carter Stanley’s “White Dove” and Happy Traum’s “Golden Bird.” Thrown in for good measure are Randy Newman’s “Kingfish” (from 1974’s “Good Old Boys”); the album’s two originals, “Growin’ Trade” and “When I Go Away” (the former a co-write with producer Larry Campbell and the latter a song written by Campbell for the Dixie Hummingbirds); and “Heaven’s Pearls” (a song by daughter Amy Helm’s band, Ollabelle). “Move Along Train” is a late-’60s composition by Roebuck “Pops” Staples that only appears as a bonus track on the CD reissue of the Staple Singers’ church concert album, “Freedom Highway.” The harmony vocals by Amy Helm and Campbell’s wife, Teresa Williams, are knockout. The pair of Muddy Waters tunes (some may notice the disc’s title is a play on Waters’ “Electric Mud” album) was cut during the “Dirt Farmer” sessions: “Stuff You Gotta Watch” has some funky accordion by Brian Mitchell and mandolin by Helm; “You Can’t Lose What You Ain’t Never Had” is all drums, bass and guitar, with Byron Isaacs on bass and Campbell on resonator and acoustic guitars and mandolin. Four songs on the album feature the Levon Helm Band’s horn section. “Tennessee Jed” and “Heaven’s Pearls” benefit from arrangements by trumpet-playing band member Steven Bernstein. “Kingfish” and “I Wish I Knew How It Would Feel to Be Free,” a 1954 Billy Taylor composition popularized by Simone in 1967, feature charts by Allen Toussaint. Kudos to Campbell, the string wizard and sideman extraordinaire (Phil & Friends, Bob Dylan) who produced “Dirt Farmer” and “Electric Dirt,” using basically the same crew of musicians for both. In Campbell, The Band‘s legendary drummer/singer could not have found a better partner.